If there is one social media platform that every restaurant wants to be on, it’s Facebook. While Twitter doesn’t have the same reach and Instagram makes it hard for brands to interact with customers, Facebook offers the perfect mix of social media and targeted marketing. If restaurants can get it right on Facebook, it’s a recipe for success. But setting up a Facebook page for restaurants correctly can be a challenge and can be a little overwhelming. It can be tricky to create a page, let alone get to grips with Facebook’s advertising platform. Don’t worry though, we’ve got you covered. 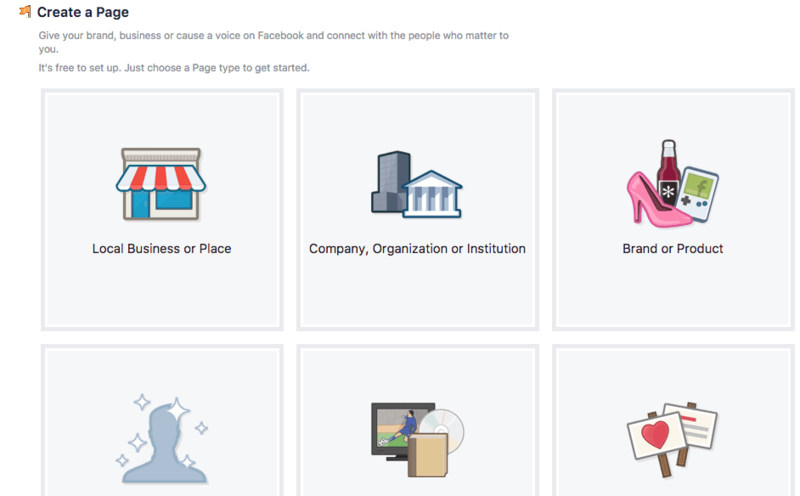 This helpful guide will have you up and running on Facebook in no time. 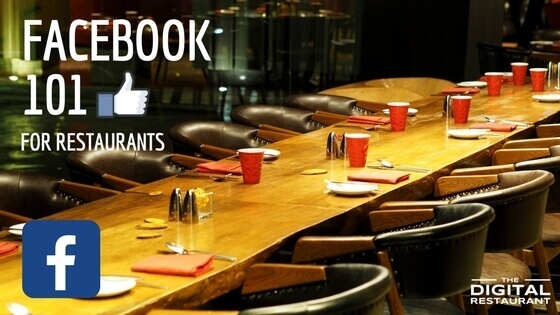 Why Restaurants Need a Facebook Business Page? Facebook check-ins: When someone comes to your restaurant they can check-in on Facebook. This can be huge for word of mouth marketing. If people see a friend checking into a restaurant, they’re more likely to consider going there themselves. Exclusive offers: Want to attract more Facebook users, encourage more visits to your restaurant and reward loyal customers? Your Facebook page lets you do all of this when you post special deals to your page. Facebook ads: With CPCs of around a dollar, Facebook offers some of the cheapest advertising opportunities for local businesses. With prices this cheap, even the local pizzeria can compete with national chains. Whether it is increasing the reach and awareness of your restaurant in your local area, encouraging repeat visitors or responding to customer service questions, Facebook offers you the perfect platform. Now we know the reasons why we’re interested in Facebook, let’s get your restaurant all set up. 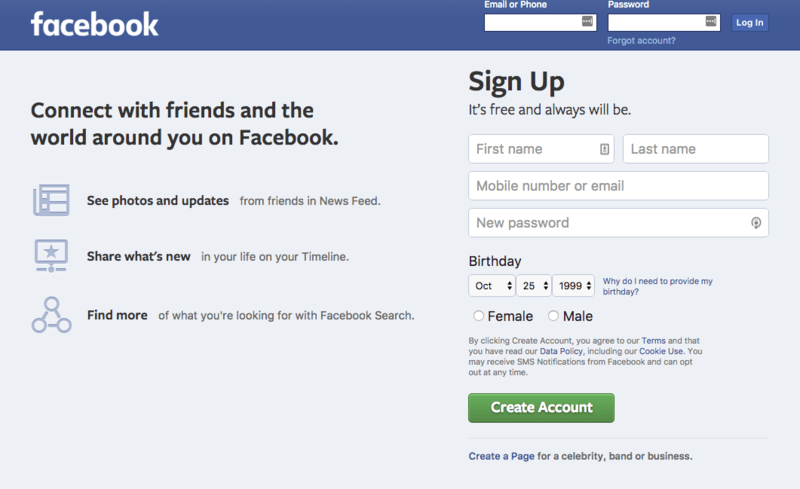 If you don’t already have a Facebook account, you’re going to need to set one up. You can do so by heading over to their Sign Up page. Enter all of your details and then click continue. If you already have a Facebook account for personal use, you can skip this step. Once you are signed in to Facebook, locate the pages link in the left-hand sidebar. Click it and then click the green “Create Page” button at the top of the following page. Choose the “Local Business or Place” option and fill in your restaurant’s details. By selecting “restaurant” in the category section, your page will be automatically loaded with a template that makes it easier for customers to interact with your restaurant. The template will help you showcase content from your page like your menu and your photos, and make it easier for people to take action. A new template was developed and made live on October 21 2017. Congratulations, you have just created a Facebook page for your restaurant. It doesn’t look too great at the moment, however. 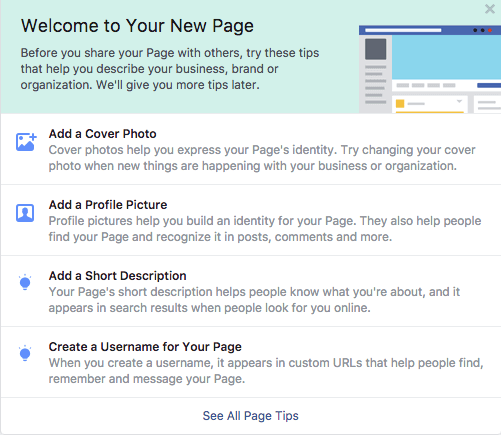 So now we’re going to personalize the page following Facebook’s Page Tips. Start by adding a profile picture and a cover photo to brand your page. The profile picture can be your restaurant’s logo, the cover photo can be a shot of the exterior of your restaurant, the interior of your restaurant or a selection of food. Next, add a short description and create a username for your page. This will allow you to create a custom URL which you can add to your marketing materials and menu to allow customers to find your Facebook page easily. Continue to use the tips to complete your profile. With your page complete, you should start adding content immediately. Post interesting and relevant information about your restaurant such as changes in opening times, specials, offers and discounts, and pictures of food. You’ll also need to start encouraging customers to like your page or spend a few bucks on Facebook advertising to promote your page and get the ball rolling. A regularly updated Facebook page is just the start. There’s so much more you can do with Facebook and social media marketing in general. Once you’ve started posting regularly, you’re going to want to look at ways to increase your Facebook engagement for your restaurant. Developing a strategy is key and we can show you seven ways to boost your reach and engagement. For those that want to get really social media savvy, creating a unified social media experience is the first step. One way to achieve this is by cross-posting food photos on Facebook, Instagram, and Twitter. This won’t just allow customers to experience your brand consistently, it can also be a huge time saver. Understanding Social Media ROI is key to success. We’ve got a great guide with tips on improving your return on investment from social media marketing, complete with a six-step plan. Get in touch today for help executing advanced Facebook tips and building a social media marketing strategy. A free consultation is only a call away.